I went back to Megalo for screen printing for the last two weekends. 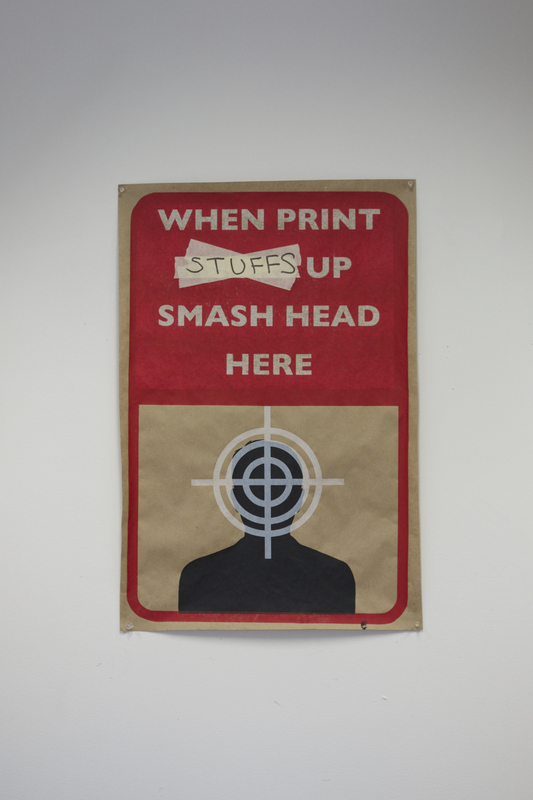 This time it’s for new posters for the Noted Festival’s Independent Publishing Fair. The posters include triptychs and smaller work. 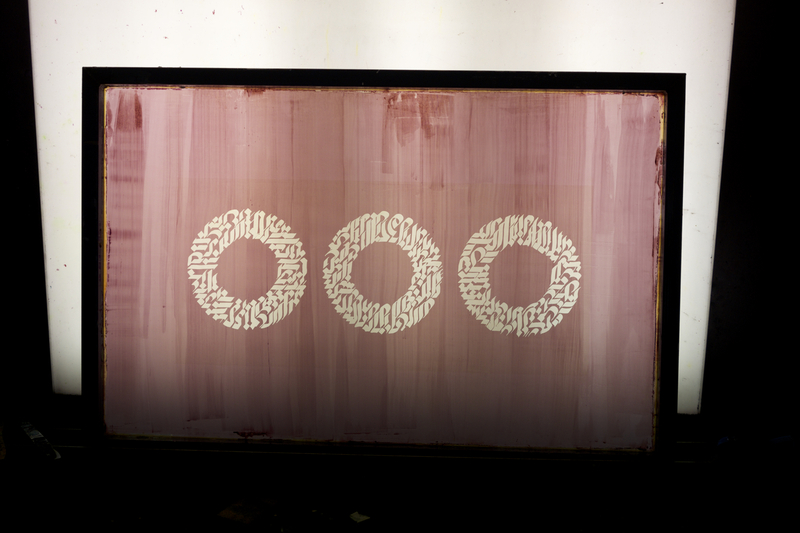 This will probably be the last screen printing I’ll run with for a while, as other projects are gaining some momentum. 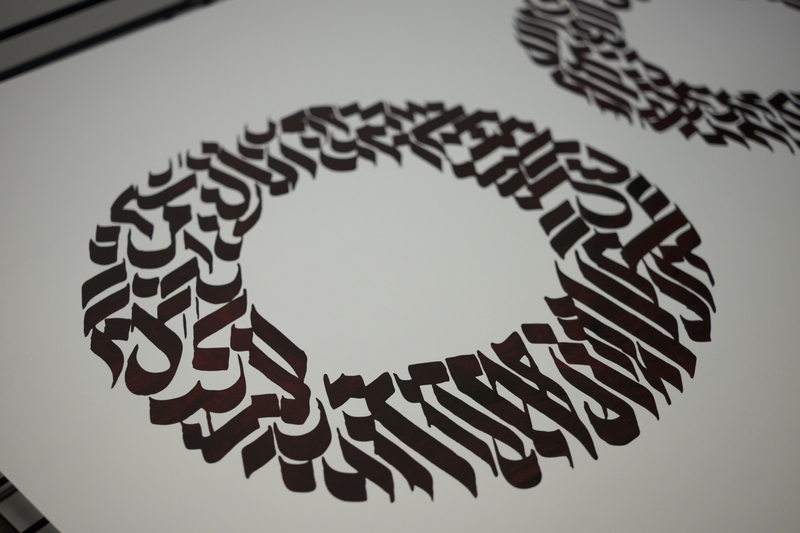 Unless Ink Daze gets off the ground or someone asks me to screen print something for them. 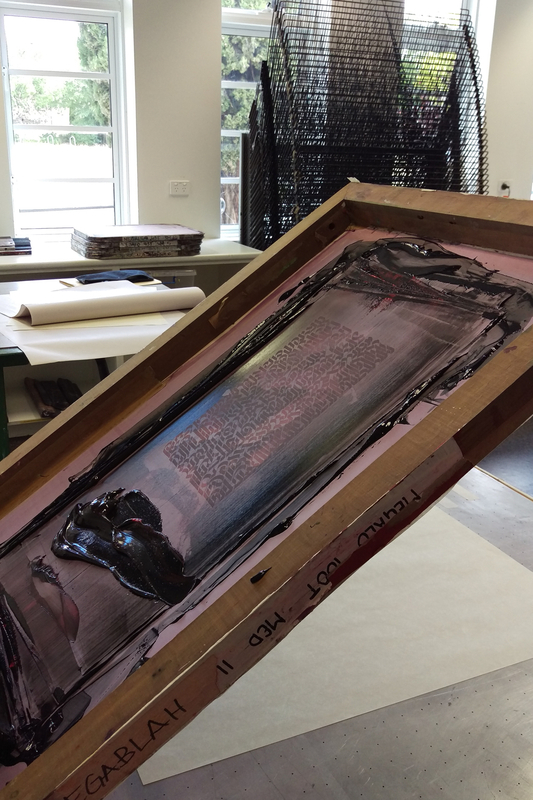 Screen printing (like other traditional printing methods) is an arrangement of simple, but just as easy to screw–up, steps. 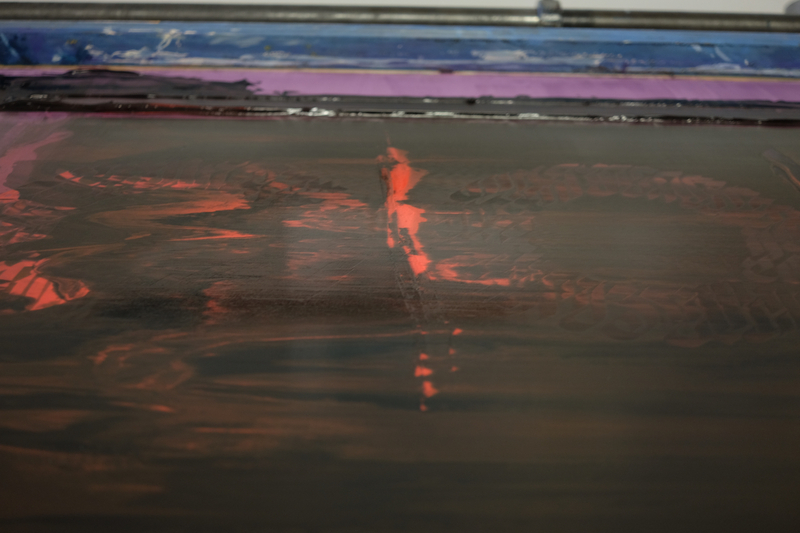 Everything from placing your template in the wrong part of the screen, or laying too much emulsion or picking the wrong kind of screen (as posters need a higher thread count than fabrics), or getting ink all over your hands, etc, etc. I’ve encountered all of the above at one time or another. And most importantly, I’ve either managed to work through or resolve. My main problem is that I can’t be in the studio when it is open through the week, leaving Saturday the only day I can close on printing projects. This probably means I won’t be engaging in printing project unless I have a couple of days off. In other printing news, I got to play with a Risograph machine. 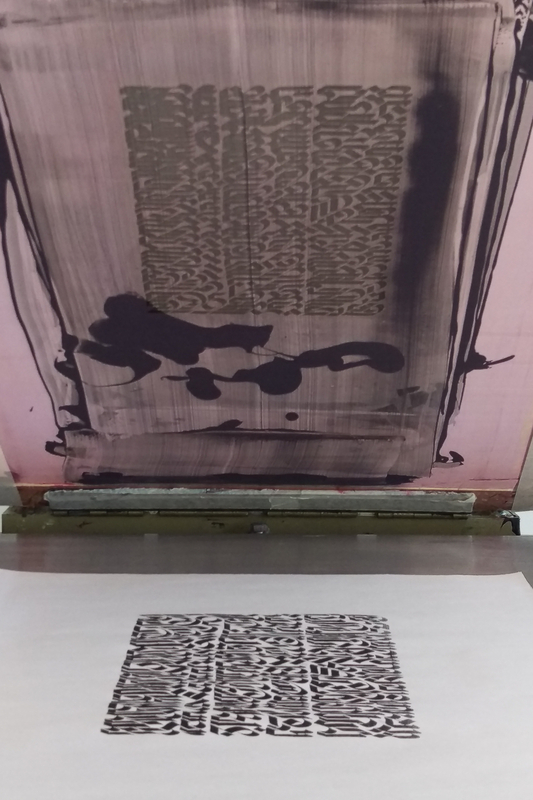 Essentially this is screen printing via mechanical means. 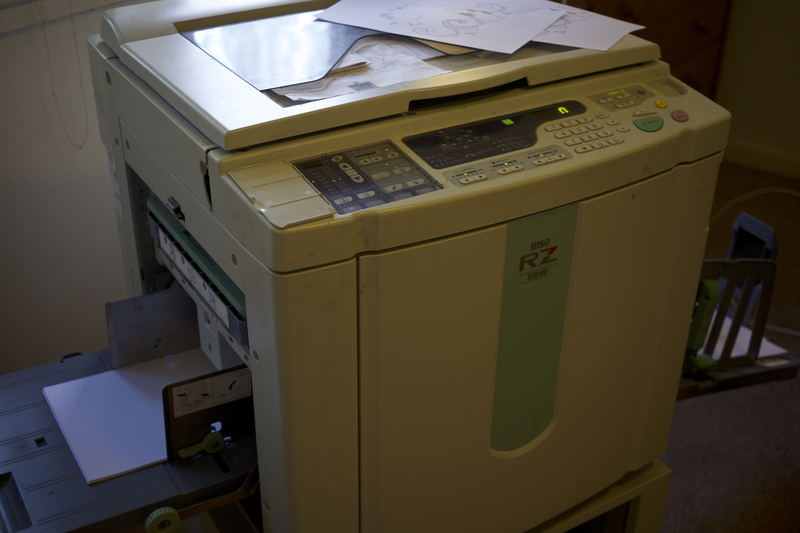 The Risograph operates like a cantankerous photocopier. 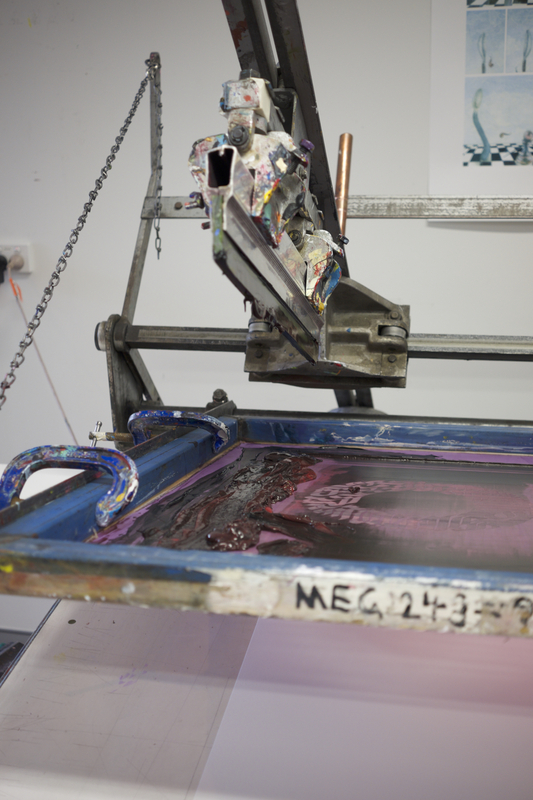 It records an image of what you want to print, creates a wax paper–like screen and then feeds ink through the screen onto paper, shooting it out of the machine. And then there’s the Riso Gocco printer I have to try out as soon as I find a place that will sell me replacement consumerables for it. Just so I don’t run out before really getting a hand for it. Also printing my zines has been slow. I’ve yet to hear back about a quote and it’s been a week. 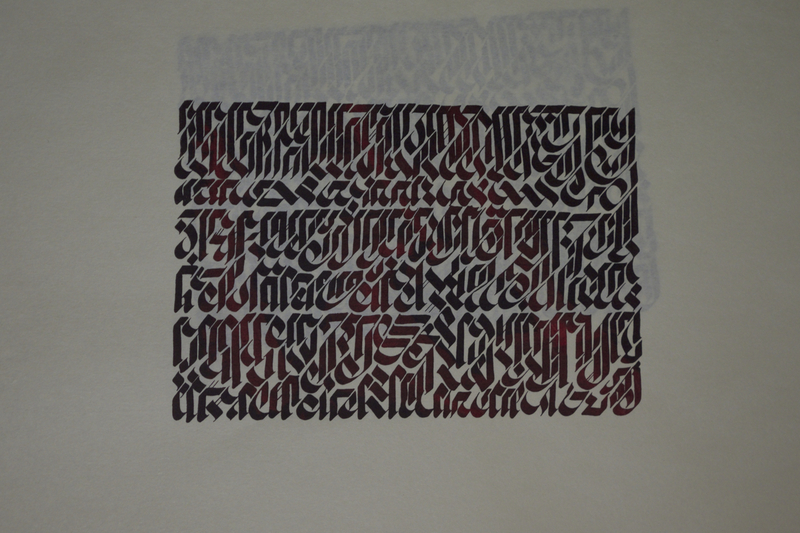 This entry was posted in art and tagged calligraphy, glyph, megalo, noted festival, screen printing. Bookmark the permalink.